Last week Mattel pulled its controversial children’s book “Barbie: I Can Be A Computer Engineer” after widespread backlash. 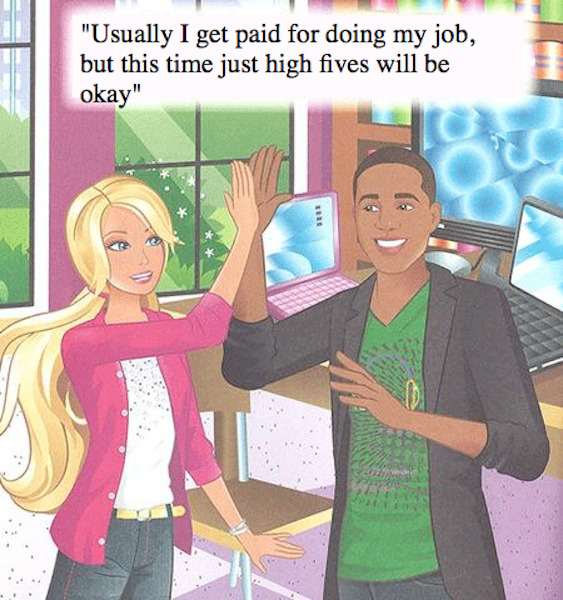 The book was supposed to be about Barbie’s successful career as a computer programmer, but it depicted her as anything but. In the story, she accidentally infects her friend’s computer with malware and can’t write a line of code without a man’s help. She only contributes to the design of the game she is working on, not the more technical back-end, and seems perplexed by even the most simple computer programming problems. Naturally, people on the internet were not pleased. The hashtag #FeministHackerBarbie soon began trending, and one California-based female engineer, Kathleen Tuite, created an app that allowed people to create their own #FeministHackerBarbie story using pages from the original book.